The Ancient Mariner would feel right at home in North Otago at the moment – there’s water, water everywhere, but Oamaru and much of the hinterland is in danger of running out any to drink. Oamaru and the surrounding areas are now on FULL WATER RESTRICTIONS, meaning essential water use only. – No water use at all that is not absolutely necessary. Other helpful things to do is to make sure you have no leaks at all, get them fixed please. If we run out of treated water, we will be forced to deliver untreated turbid water, that you will have to boil to drink. This will likely mean schools and businesses will have to close, and it will take a long time to recover from. Too much rain over the last week has left the Waitaki river which supplies water for the town and outlying areas too dirty for the treatment plant to deal with. If people don’t conserve enough water, businesses will be shut down for several days. A week after nearly 200 sheep were shot on a North Otago farm at least 15 more have been shot on another farm in the area on Sunday night or early yesterday morning.
. . . They [police] are not yet saying whether they were shot dead or whether they think the deaths are linked. “Both of these events are very unusual but we appreciate that they will be creating a high level of concern amongst local farmers and the community in the Ngapara area,” says Detective Warren Duncan. Witnesses who may have seen anything in the Crown Hill, Conlans Road and Peaks Road area were asked to contact police. Last weekend, 195 sheep were shot at Peter Stackhouse’s property over two nights. Many had to be put down because the bullets did not kill them. Police were baffled as to why so many were shot but not taken for their meat. However, Det Duncan said “good information” had come in on the killings. . . Whether you believe in lunar madness or not, there is evidence to suggest the full moon has cast its spell over Ngapara in the past 40 years. As inquiries continue into the slaughter of about 195 sheep on a Ngapara farm last weekend, so too do investigations into a 40-year trail of unsolved crimes in the area – most of them committed during a full moon, according to Oamaru police. ”[Farmers] all know that on a full moon [the offender(s)] plays up – full moon, watch out, keep everything locked up,” Community Constable Bruce Dow, of Oamaru, said. A sense of fear remained in the community and farmers had always been aware of suspicious activity, he said. ”This has been a bone of contention for that community for years and years and it’s not stopped,” he said. ”It’s criminal behaviour by an individual or individuals and it’s causing the community of Enfield, Ngapara and Georgetown a lot of concern. Police can trace a series of fires and sabotage of vehicles and farm equipment back to 1975 in the Ngapara area, extended in some cases to Enfield and Georgetown. Const Dow said the unsolved crimes were unlikely to be linked to the shootings of ewes and hoggets on the Stackhouse family farm last Friday and Saturday nights, but police were still appealing for information. . . Historic crimes in the Ngapara area included theft of property from tractors, stock theft, arson of hay sheds, paddocks, forests and houses and serious damage to tractors, and machinery. ”Engines have been destroyed on tractors, headers and vehicles, we believe by the use of carborundum, a grinding paste,” Const Dow said. Fences had been cut, electric fences tampered with and one farmer lost more than 2250 litres of diesel when the taps from a fuel tank were turned on. The Stackhouse family farm was also targeted about 20 years ago, with farm machinery seriously damaged, Const Dow said. In many cases, damage had been subtle, such as holes drilled in hydraulic hoses and nail holes poked into a tractor’s air filter. ”Everything has been covertly done – they’ve been done under cover of darkness and a lot of them were done so they wouldn’t be discovered until when the equipment was needed the most,” he said. ”Old-timers … will remember lots of these incidents and they will have a very firm opinion of who’s caused it.” . . .
Not only old-timers have a firm opinion of the identity of the perpetrator of the on-going crimes but there has never been enough proof to lay charges. However, these mass shooting are something new and very unwelcome. While killing other people’s stock for meat can’t be condoned it can be understood. But this senseless shooting, killing and leaving some animals still alive but badly injured, is evil and has left everyone in the area very worried. Federated Farmers and the North Otago community are holding a special fundraising sale to assist Peter and Janine Stackhouse following the recent brutal attack on their stock, where approximately 200 sheep were shot. If people would like to donate ewes or lambs it would be greatly appreciated, if so, we’d ask for ewes or lambs to be delivered to the Waiareka sale yards, on the morning of the sale (Monday, 7 July). If you’d like to donate stock but are unable to deliver them to the sale yards, please contact Greg Ruddenklau on (03) 432 4006 or 027 429 6179 to organise a pick up. If instead you’d like to give a cash donation to the Stackhouse’s, a fundraiser account has been set up by Rural Woman NZ and the details are below. Federated Farmers would like to publicly thank PGG Wrightson, Rural Women NZ North Otago and CRT Farmlands for their assistance. Deliver ewes or lambs on the morning of the sale, or if this is not possible, please contact Greg Ruddenklau on (03) 432 4006 or 027 429 6179 to organise a pick up. Just over a year ago when I looked from the top of the hill above Enfield towards the Kakanuis, irrigated paddocks would have stood out like green ink on parchment. 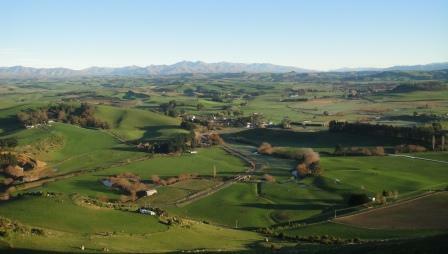 When I was up the hill yesterday it was impossible to tell which farms were irrigated and which were not. Niwa reports we’ve had the warmest May on record. Data from climate agency Niwa shows the month was almost 2.5 degrees Celcius warmer than usual, with rainfall double normal levels. The figures won’t be official until tomorrow morning, but principal climate scientists James Renwick said the provisional numbers were extraordinary. “Two-point-five degrees doesn’t sound like much, but for the average over the whole month that’s huge,” Renwick said. The average monthly temperature had been 13.1C, a temperature normally expected for April, Renwick said. The previous hottest May, recorded in 2007, had a mean temperature of 12.4C. Rainfall totals were also extreme, especially in the eastern Bay of Plenty and Nelson regions. We haven’t had the extreme weather other areas have suffered but mother nature has provided more than enough moisture. Irrigation hasn’t been necessary and mild temperatures mean grass is still growing so it looks more like spring than autumn. 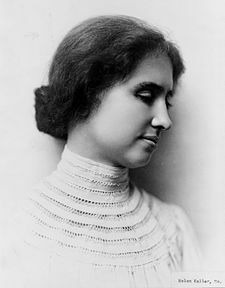 1880 Helen Keller was born. 1967 The world’s first electronic ATM was installed in Enfield, England. 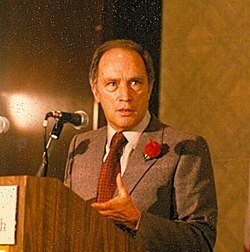 1984 Canadian Prime Minister Pierre Trudeau was awarded the Albert Einstein Peace Prize. Gravedodger got three out of five in yesterday’s quiz. 1. What’s the name of the mother of Dog’s pups in Footrot Flats? 2. Who wrote Backblocks Baby Doctor? Doris Gordon, one of the first women doctors in New Zealand. 3. Where was Phar Lap born? At Seadown, near Timaru. His sire Night Raid, stood at Elderslie near Enfield in North Otago and his dam Entreaty was brought down for the mating in 1925 according to the book From Teaneraki to Enfield by Lindsay Malcolm where I found this photo. Night Raid is in the stall, Entreaty is the horse on the right; the horse on the left and the foal were full siblings of Phar Lap. 4. Who said, “No-one would remember the Good Samaritan if he’d only had good intentions. He had money as well.”? Margaret Thatcher – The Oxford Dictionary of Quotations says it was in a television interview on January 6, 1986 and in The Times six days later. 5. The Corriedale was the result of crossing which breeds of sheep? Lincoln & Merino. James Little came from Scotland to Corriedale in North Otago where he started cross breeding merinos and continued experimenting until he developed the breed after moving to North Canterbury. In honour of World Water Day I offer this for you to ponder on. It was written by Ken Gibson who farmed in the Enfield District in North Otago and published his memories in a book, Days Gone By. We made holes with post hole diggers. We dug wells. We made dams. We carted water from what wells we had on the farm. The cows stood and drank the water as fast as we could lift it to the surface. We were not alone. With one or two exceptions, the farms between the Waiareka Creek and the Kakanui river were without good supplies of water. It was virtually a risk to stok the farm up because when the dry and heat came on we couldn’t give the animals a drink. We sledged, we bucketed, we drayed, we truckes, we pumped water to try and get ahead of it. There was never enough until 1957 came, but that is another story. The other story was the development of rural water schemes. The first in New Zealand was built in 1956 by farmers in the Windsor District, among whom was my father in law. The Enfield scheme was opened the following year and it was greeted as eagerly by farmers of that era as irrigation is today. Before the advent of rural water schemes, it wasn’t only the land and stock which were short of water, houses were reliant on rain too and with an average of 20 inches a year that was a scarce commodity. Even when the rural water schemes were introduced there wasn’t a lot to spare for houses and gardens because stock water was the priority. One unexpected bonus of irrigation has been enough water for gardens. My mother in law established her plantings by carrying buckets of water to plants. My farmer rigged up a couple of k-lines for our garden so it’s mostly watered with the turn of a tap.